When it comes to having enough energy for the day, it is crucial that children are provided with a balanced breakfast. Not only does it set a tone for the rest of the day, but it ensures that your youngster is ready to learn when they get to preschool and have energy to play with the other kids. 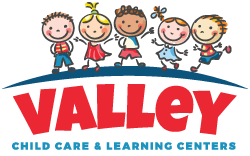 Valley Learning Center is proud to provide one of the most expansive nutritional programs for children that come through our early learning centers. 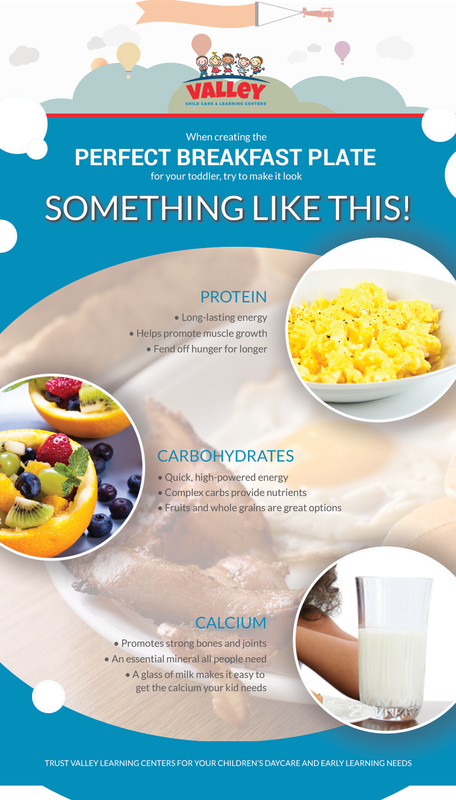 Breakfast is the most important meal of the day, and we show that through our nutrition program. Protein is what makes your child stay awake for longer than the first hour of their day. Unlike carbohydrates, protein is slow-digesting, which means it will stick around much longer and stave off hunger until the next meal. It also promotes muscle building, which is great for those youngsters who still have a lot of growing to do. Protein also adds critical amino acids that are building blocks for growth. Adding things like eggs, breakfast meats, and other easy-to-prepare protein sources can be highly beneficial for breakfast. Jump start your child’s day with some complex carbohydrates in their breakfast. Carbohydrates are important for energy. They catch a bad rap more often than not, but carbohydrates are one of the three macronutrients: proteins, carbohydrates, and fats. These three are the building blocks of any diet. Carbs, when incorporated into a diet properly, can create the ideal amounts of short-term energy needed to fuel the body for the tasks ahead. Incorporating foods like whole grain toast, english muffins, and moderate amounts of fruit into breakfast will do the most to add to your child’s energy stores without negatively impacting them with simple carbohydrates. Speaking of simple carbohydrates, breakfast foods that are high in sugar or are overly processed can be detrimental to the success of your child during their daily preschool activities. Sugar is essentially a simple carbohydrate. Sugar burns up quickly, which is why the myth of “sugar crashes” is not inaccurate. If you can keep your children away from things like toaster pastries and highly refined, overly sugary foods for breakfast, you can keep them awake and ready to participate during their early education. It’s no secret that calcium helps promote healthy bones and growth for youngsters. Calcium is one of the building blocks of bones, teeth, and other critical body parts. As such, adding this and other critical vitamins and minerals to a youngster’s breakfast can only be beneficial, so giving your children a glass of milk for their morning refreshment is a perfect idea. Here at Valley Learning Centers, we are happy to provide our preschoolers and daycare participants with a quality breakfast and nutrition program to ensure they are learning and thriving at their best. We love having parents around, so we are happy to provide parents and their children with a balanced breakfast to get started on their day. If you are looking for the ideal preschool for you and your children, look no further. Be sure to get in touch and experience the Valley Learning Center for yourself!